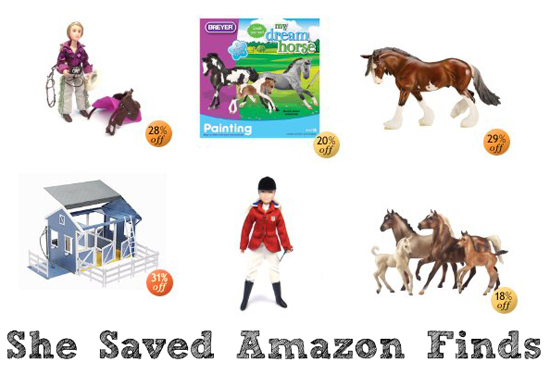 For a limited time and while supplies last, buy one, get one 40% off on select Breyer Horses. This discount will be applied at checkout. And, don’t forget, you can use this Amazon Coupon to save $5 Off a $25 purchase. Keep in mind, these prices are BEFORE the 40% discount is applied. Plus, shipping is FREE with Amazon Prime or with Super Saver Shipping on orders of $35 or more!